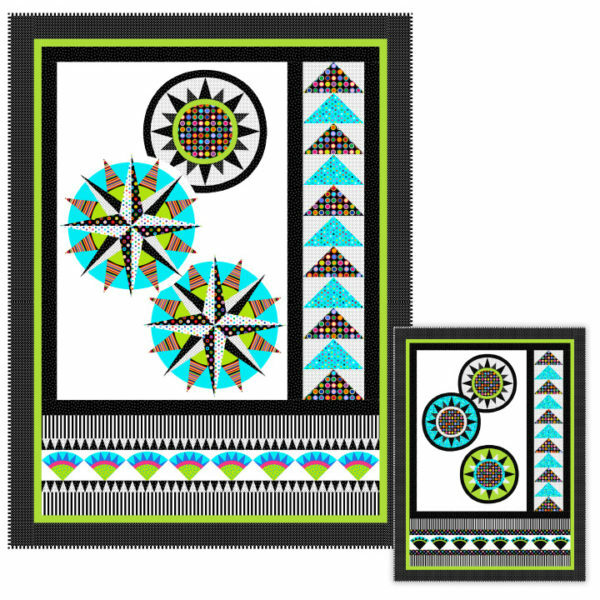 The Star Gazer Kit is an exciting combination of fabrics, containing black and whites, crazy colors, and fun patterns. 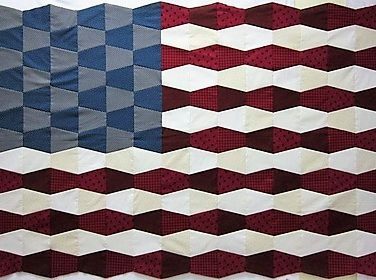 This unique mix yields a bold quilt, created with a blend of piecing and easy fused appliqué. 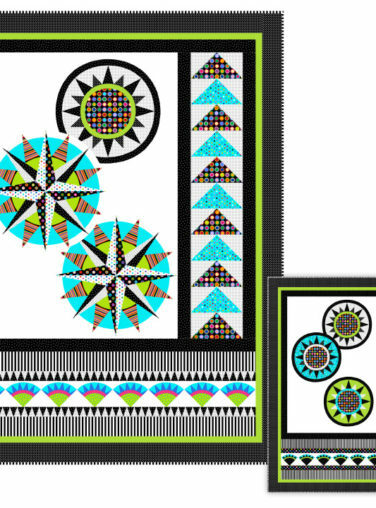 The finished product is approximately 52″ x 69″.